See out new Duplicator page! We’ve been updating our website and added a new duplicator page. Not sure what a duplicator is Check it out when you get a chance! Did you know that most of Martin Yale’s Intimus products are Made in the good ole USA? We are your local dealer for Martin Yale Products. They supply different types of folding machine and shredders designed for your specific office needs. FP Mailing Solutions supports the National Breast Cancer Foundation and goes Pink! FP Mailing Solutions announces the beginning of the software revolution – PostBase! The big news this week is all about FP’s new line Mailing System, the PostBase. After reviewing all the materials, I’m convinced that this is the most flexible and up-scalable postal system that I have ever seen. Created for the low to middle volume mailroom user, it offers features found on most high end and high speed equipment. In addition, many, if not all these features can be activated via software download. Here is a list of some of the features that can be added and/or upgraded after distribution: speed, scale capacity, accounting, added feeder/sealer, custom advertising, differential weighing and even color. There are many more features, options and perks to the system. The best features of the PostBase for most customers, in my opinion, will be the high-speed internet connectivity option and the remote rate change download capability. No more waiting on chips, cards or installation with new rates, they can be uploaded when you’re ready. Over the years, I’ve heard some concerns that the layered menus are too complicated and difficult to learn; not so for this new machine. The PostBase has only one button, once activated the average customer only has to deal with 3 screens to accomplish 99% of their tasks. 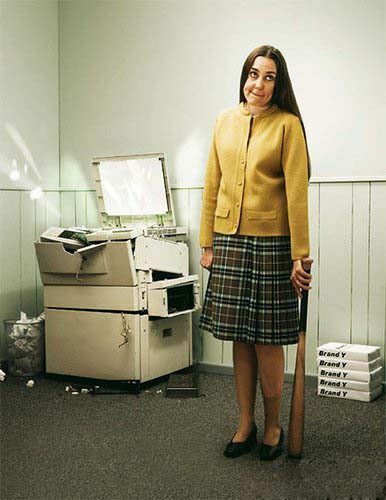 In the need for a new copier? Use Only the packaging from your new Toner or Waste Container. Do not use any other packaging. Place the used Toner Container or Waste Container in the plastic bag provided and seal it. Place the plastic bag in either the new carton or your original carton and seal it with tape. If a plastic bag is not provided, seal the waste container with the seal provided on the container. If necessary, use bubble wrap or old newspaper to cushion the container in the original packaging, to prevent damage during shipping. All shipping costs will be incurred by the customer. There is no charge for the recycling. Thank you for your participation in the Kyocera TCR Program!